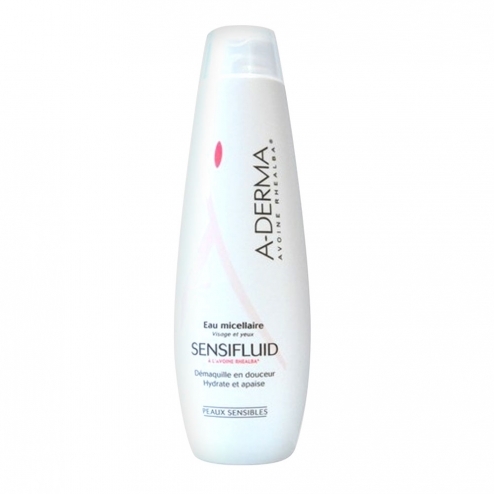 Water Micellar Aderma Sensifluid Oatmeal gently cleanses Rhealba the most sensitive skin, while moisturizing and soothing the skin. All the efficiency and smoothness of the Organic Oats Rhealba is contained in the bottle. Aderma laboratories have selected the asset for its soothing, anti-irritants, nutritional and restorative. Water micellar Sensifluid is a consistently effective, and high tolerance makes it suitable for all skin types, even the most sensitive and responsive to the face and eyes. Apply with a cotton pad morning and evening to face and eyes. Formula INCI: Aqua, Poloxamer 184, PEG-6 Caprylic / Capric Triglycerides, pentylene glycol, Avena Sativa (Oat) Kernel Extract (Avena Sativa Kernel Extract) *, Hamamelis Virginia (Witch Hazel) Water (Hamamelis Virginia Water), phenethyl Alcohol, Phenoxyethanol, Propylene Glycol, Sodium Chloride, Trisodium EDTA.